Nate is the captain of Team Ledgestone and is very involved in the disc golf tournament scene. Nate is the TD of the Ledgestone Insurance Open, a 2015 National Tour event. Nate throws both forehand and backhand and credits his success to his jump putting and his forehand. 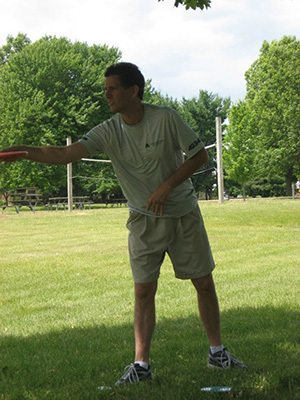 Nate lives in Washington, IL and is looking forward to being a positive, Christian influence in the disc golf scene. Practice your putting. Its fun to throw far, but a good putter will beat a good driver every day of the week!